It is the last day of July and I just wanted to take a moment to remind you about Stampin Up’s July Specials: Bonus Days and Christmas in July. Both are awesome deals. Don’t miss out on these specials. You can read the details at the bottom of this post. Did you know that Christmas is now less than five months away? It is not too early to start on those handmade gifts and cards for the Holidays. If you start now, you will have plenty of time to get a few gifts made. I know I always have the best of intentions to get my Holiday cards done super early and mailed out at the beginning of December. But there I am, three days before Christmas, finishing up my cards if I’m lucky. I usually call it a win if I make it to the Post Office while they are still open on December 24th. And every year I tell myself, (say it with me) next year will be different! Well, this year I have my fingers crossed that it will be different this time around because now I have officially started making them. Okay, I have one card made. But it’s a start. 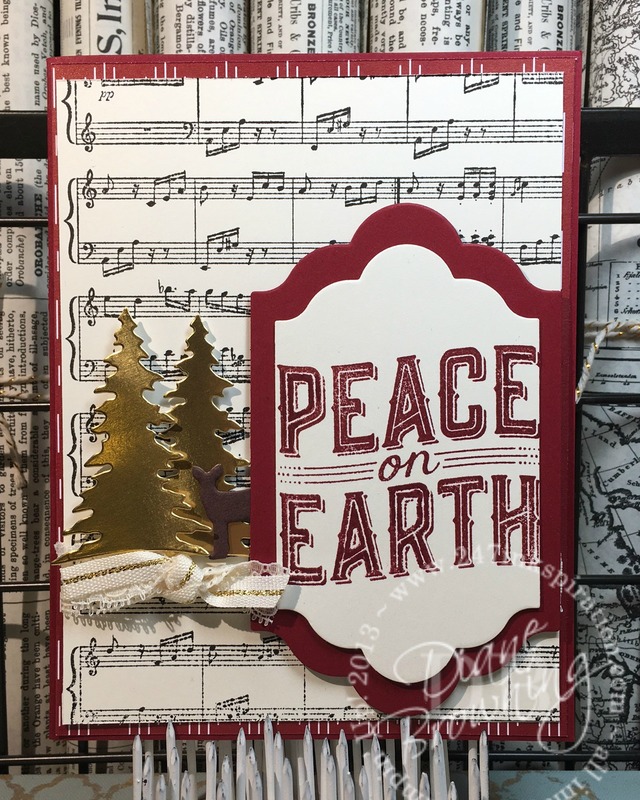 Today’s card uses the brand new stamp set Carols of Christmas that hasn’t even been released yet. If you were a Demonstrator, you could have ordered this already. Reason #12,468 to be a Stampin Up Demonstrator. I love the giant graphic fonts in this stamp set. Just add a couple embellishments and your card is done. The gold trees are die cut using the coordinating die set. Don’t buy just the stamp set. You want these dies too. You really need both together to mix and match the greetings with the different dies. The music paper in the background is actually the Sheet Music background stamp. We used to have something similar in a pattern paper design, but I love that with the stamp, I can make it any color that I need it to be. So, it’s only 147 days until Christmas. Our Holiday catalog won’t be released until September 1st. 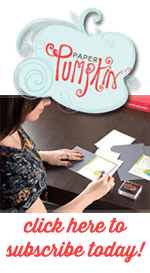 However, if you are a Stampin Up Demonstrator, you will have access to the Holiday catalog starting 8/1 and can start purchasing your Holiday supplies then. I’ve seen a couple sneak peeks of the upcoming products and you will not be disappointed. Sign up today to join my team and you can take advantage of the Christmas in July promo this month and start ordering your Holiday products tomorrow. Seriously. You’ve got to do this. This is your last chance! Free craft supplies are always a good idea.